When You Need A Top Health Care Lawyer, We Can Provide! Confused By Health Care Law? Don't Go It Alone! Health care laws. We get it, they can be hard to manage! 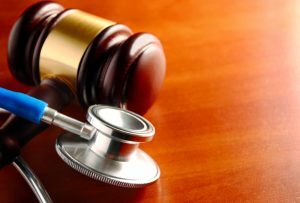 If you are frustrated trying to navigate through the Health Care Laws of California, let the experienced health care lawyers at Simas & Associates, Ltd., be your guides. ​In 2002, Simas & Associates, Ltd., began representing licensed healthcare professionals and businesses involved in the healthcare industry throughout the state of California. With offices in the Sacramento and San Luis Obispo areas, Simas & Associates, Ltd., has the means to represent clients from San Diego to Eureka, Lake Tahoe to Bakersfield. We provide solid legal advice and represent licensed professional and businesses before local, state, and federal agencies. We advise both small and large businesses, as well as solo practitioners, and our lawyers work with a variety of insurance carriers. Simas & Associates, Ltd., provides the legal advice that is needed to protect your business. Denying, or abusing, health care privileges can create numerous issues within a business. One must know the laws governing health care in California; the health care provider which they choose for their business and employees; the benefits, pros, and cons of the provider; and how to deal with operational issues. Health care is one of the more complex concerns of any California business owner. Simas & Associates, Ltd., has spent multiple years with working hand in hand with health care providers and professionals, as well as partnering up with professional health care societies and associations, not to mention drafting and overseeing contracts. We have the very experience that your business is looking for. Our goal is to avoid the uncertainty and cost of litigation in administrative proceedings and in court. Simas & Associates, Ltd., has been successful in avoiding expensive litigation by carefully evaluating the case for our clients, and with the use of training and alternative dispute resolution. Facing licensing investigations, license denials, disciplinary charges (accusations), and petitions for reinstatement. Understanding the laws and rules, navigating through and working with: The Medical Board of California, Veterinary Medical Board, Board of Registered Nursing, California Board of Optometry, Dental Board of California, Physical Therapy Board, and others. Responding to investigative inquiries, summary suspensions, and peer review committees. Dealing with health care provider status matters. Working through health care payment and all it entails. Employment agreements dealing with healthcare. If you have any questions regarding health care lawyers, or if you need one, do not hesitate, give us a call today. As soon as you call, one of our dedicated lawyers will help you and set up a free consultation. We look forward to seeing how we can help you protect your business!